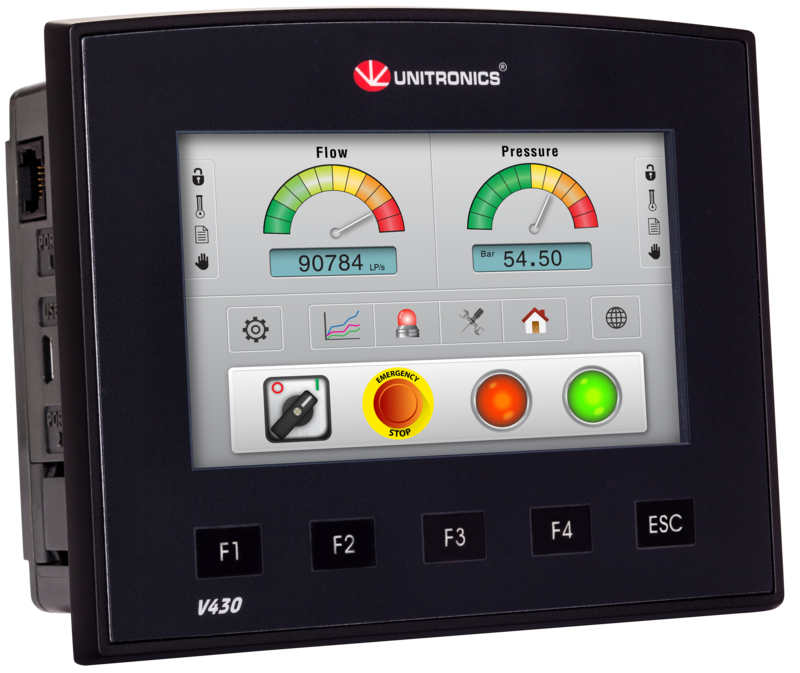 The beautiful, wide 4.3" built-in colour touchscreen brings added value to any application that requires a compact PLC controller with onboard I/O. The touchscreen and five function keys are housed in a flat fascia with an IP66/IP65/NEMA4X rating, a fine fit for the food and pharmaceutical industries. 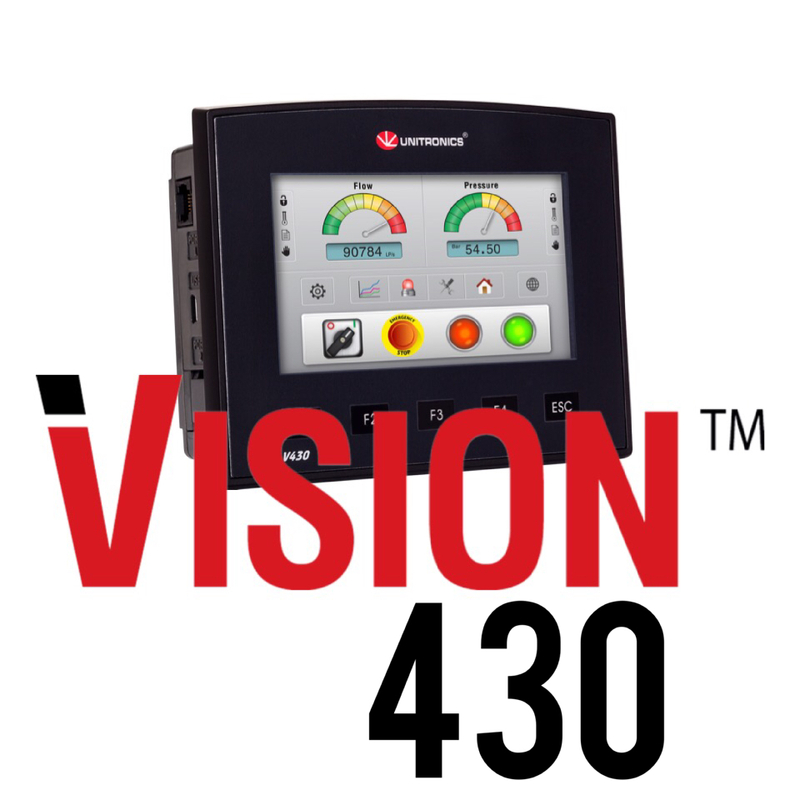 Each Vision 430™ model offers a unique onboard I/O configuration that can include digital, high-speed, and analogue I/O, including PT100/Thermocouple and weight/pressure measurement. 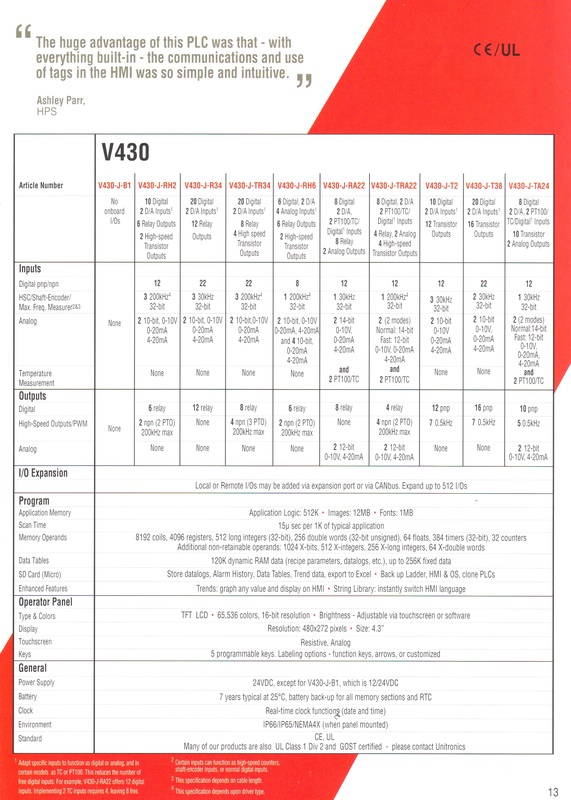 Expansion modules enable local and remote I/O at distances of up to 1000 meters, making Vision 430™ a cost-effective solution for applications up to 512 I/Os. Power features include 24 auto-tuned PID loops to control temperature, level, and pressure. Time-based and immediate interrupt support make Vision 430™ a natural for ‘rapid response’ applications such as packaging machines. Built-in recipe capabilities are supported by Data Tables, which store the parameters required to control a specific process. Data Tables also enable the controller to store data logs to micro-SD card. The micro-SD card also stores application back-ups, and allows complete PLC cloning. 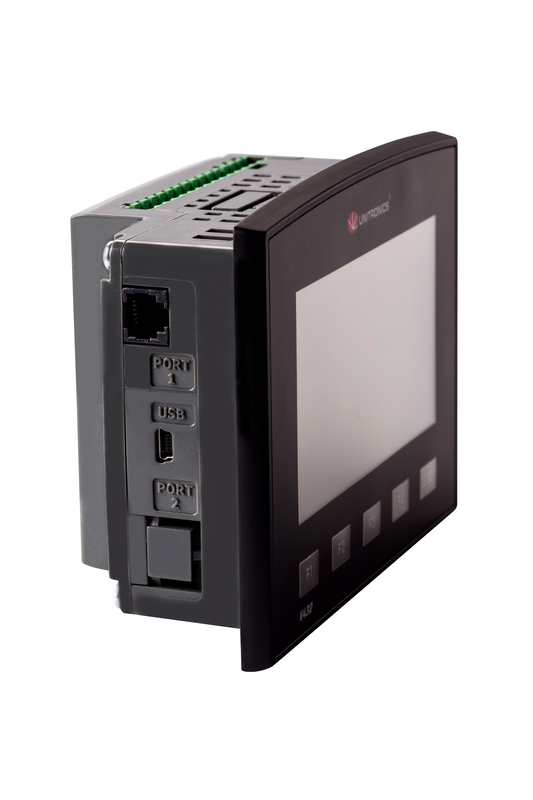 Communication options include Ethernet, cellular and industrial protocols such as MODBUS, DF1 slave, BACnet, J1939, CANopen and more. In addition, the ‘Protocol’ utility allows Vision 430™ to communicate via almost any ASCII protocol. The unit can be directly accessed via a mini-USB programming port, and remotely accessed using GPRS/GSM/CDMA and other IP networks for data acquisition and program download. Another major benefit is the ability to notify supervisors of critical information via e-mail and SMS, enabling real-time remote management. The machine operator communicates directly with the application via the resistive analogue touchscreen, or remotely, via the Remote Operator utility which displays data, colour trend graphs, and attention-grabbing alarm screens. Display options are almost endless, with more than 1024 user-designed screens supported by 12 MB of memory for images and 1MB for fonts. OEMs and machine builders profit from intuitive all-in-one VisiLogic software that enables rapid hardware configuration, PLC and HMI application programming. VisiLogic includes a full library of Drag & Drop function blocks for complex automation control tasks, such as PID, and a rich, colour library of industrial images. 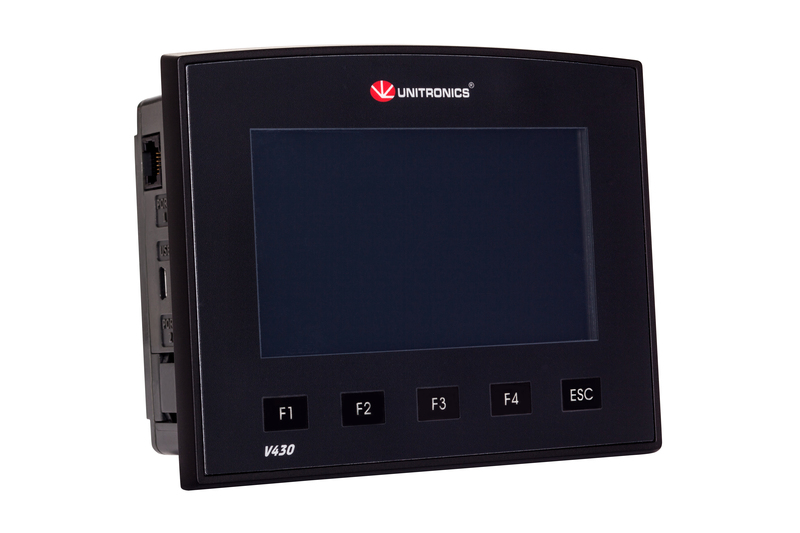 Produced by Unitronics, a global developer and manufacturer of PLC + HMI controllers, Vision 430™ is backed by Unitronics standard policy of customer care, including software and utilities, plus personalized technical support. This combines with reduced overall system costs, minimized hardware requirements, saved cabinet space, and reduced Panel-PLC I/O wiring to bring an excellent price performance ratio. 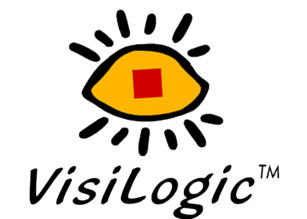 Visilogic is a powerful software package that allows the Vision™ series integrated PLC & HMI to be programmed easily and quickly. The software has a familiar intuitive feel and incorporates many advanced features such as discrete program routines, function blocks, data tables for recipes, trending and alarm handling. All of the standard Maths functions are available and complex formula can be developed without the need to have a degree in computer science! It is the function blocks, however, that really make the Vision™ series the powerful devices that they are. There are many preset function blocks available performing a wide variety of advanced tasks as easily as dropping & dragging an icon into your program and configuring a few parameters. Subjects such as CAN Open networking, Modbus communications, pulse trains outputs (more) and bespoke serial communication protocols (more) all have function blocks available to make the programmers life less difficult. To find out more detail about the range of function blocks availalble visit the Visilogic software page here. 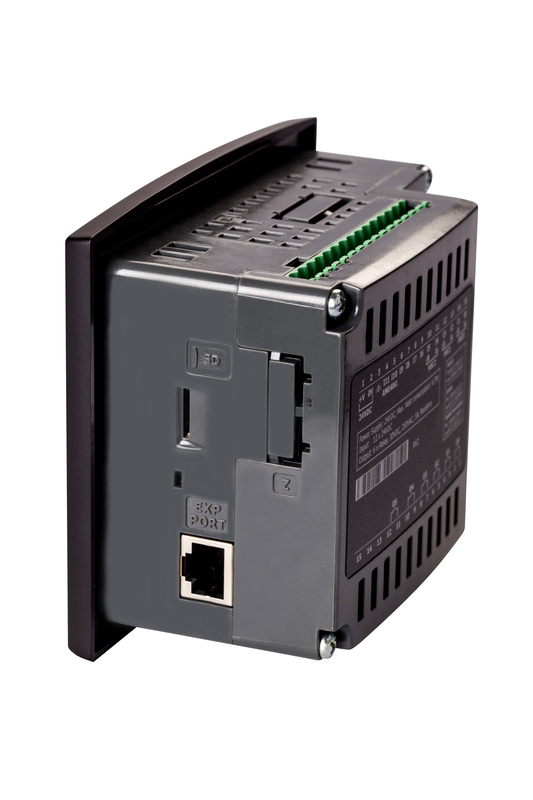 Each V430 unit can be installed with 1 additional CANbus port, plus 1 of the following COM ports- Ethernet, RS232/485, or RS232/485 (isolated).